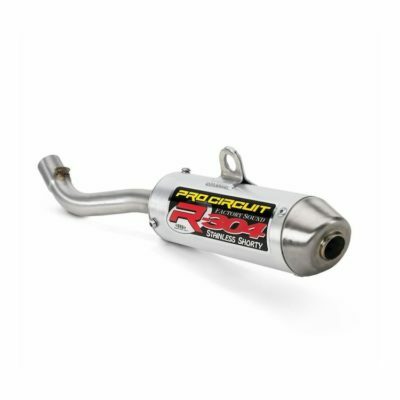 The Pro Circuit Works Pipe offers unparalleled performance and delivers more usable power for every two-stroke machine. 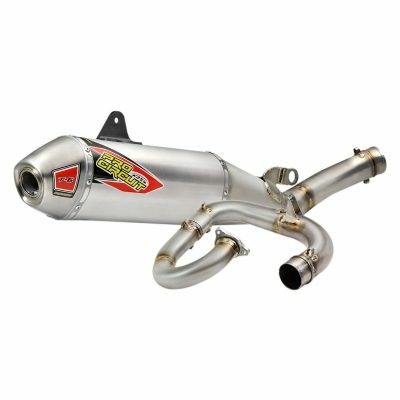 Horsepower and torque gains will quickly be noticed across the low to mid RPM range, making the Pro Circuit Works exhaust the perfect choice for tight tracks or trails. 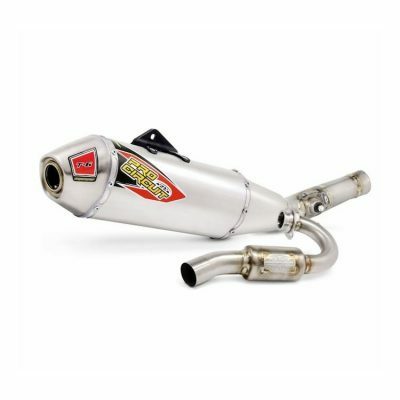 Constructed entirely of unplated carbon steel, the Pro Circuit Works exhaust is reminiscent of the custom cone pipes once used by factory teams when two strokes ruled the dirt. 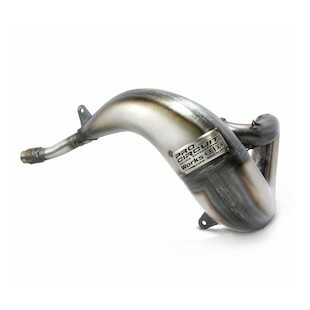 While the unplated steel gives the Works pipe a unique look, the raw metal finish does require some extra maintenance to prevent rust build up after washing and usage in wet conditions.